This season we’re super lucky to be employing the services of ultimate video-producing superstar Charles Cleary, who is local to the area and known for his top quality videos. A sample of this work is below. 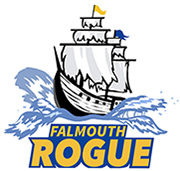 Chuck will be filming one of our games this season and producing a similar video of highlights for Falmouth Rogue. Get excited! Click over for more Chuck’s work. I love this new video from Maine’s own Chuck Cleary because it shows that even the best ultimate players in the world drop the disc and throw it into the ground from time-to-time. The most important thing about messing up is how you handle yourself afterwards— get up, forget about the mistake, and keep on jammin’!